► Is it world's fastest SUV? 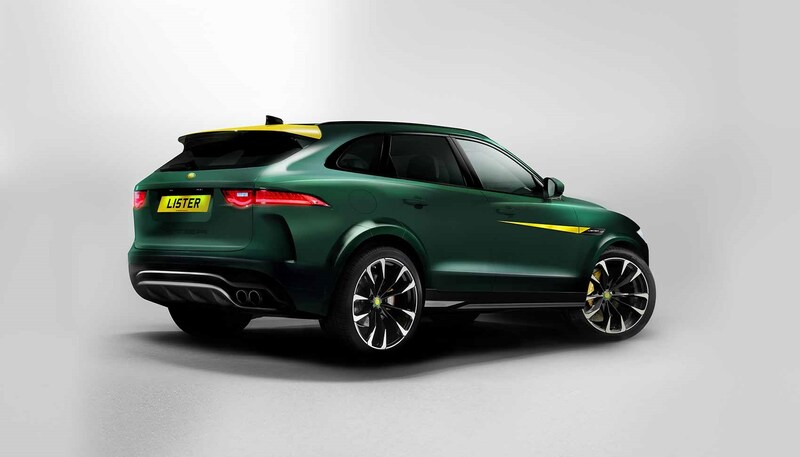 You're looking at what's purportedly the world's fastest SUV - the new Lister LFP. 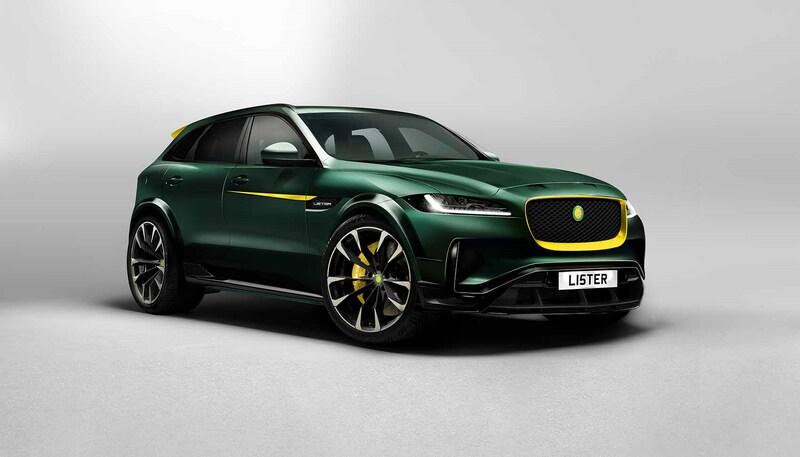 Essentially a Jaguar F-Pace given a serious makeover by rejuvenated tuning firm Lister, it has a claimed 200mph top speed and acceleration to out-drag many supercars. Such brawny performance is liberated by a stonking 670bhp output. Not all the technical details have been confirmed yet, but it's clearly a supercharged V8 Jag F-Pace SVR that's popped down the gym, by the sounds of the early spec. Family-run Lister is rapidly expanding as it launches a range of tweaked Jaguars. Read more about the fabulously named Lightning and Thunder projects in our earlier reports. 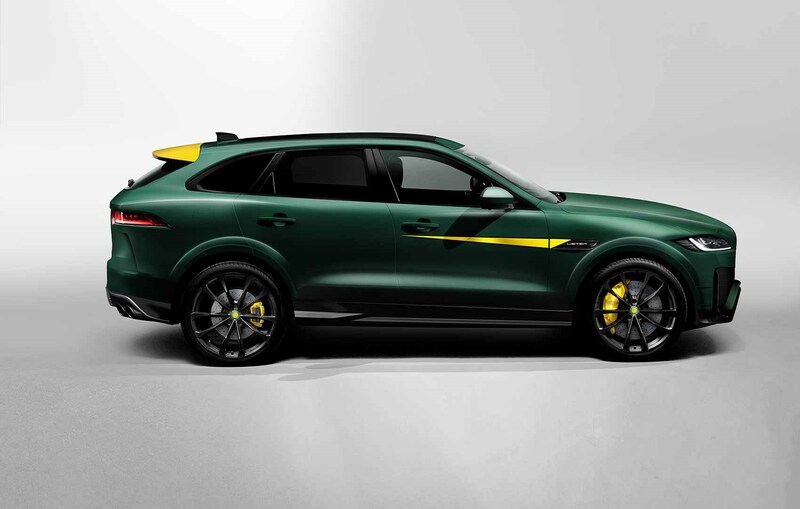 So just how quick is the new Lister LFP? Pretty damn fast, judging by the performance claims issued by Lister. Nought to 60mph takes just 3.5sec and lightweight body panels fashioned from carbonfibre contribute to an as-yet-unspecified cut in mass to boost acceleration and handling. Use of exotic materials is responsible for the price jump, which sees the LFP retail at 'around £140,000'. Expect more details in the coming months, as the full spec and details emerge. The Lister Motor Company is Britain's 'oldest surviving racing car company' with 65 years of continuous heritage. It was bought by father and son combo Andrew and Lawrence Whitaker in 2013 when they announced the Jaguar Knobbly continutation cars (all 10 sold out in the first month). The relationship with Jaguar has continued and the new spurt of products are all Jag-based bespoke creations. The company says interest is strong and it is moving its head office to new premises in the north west of England as it continues to expand.